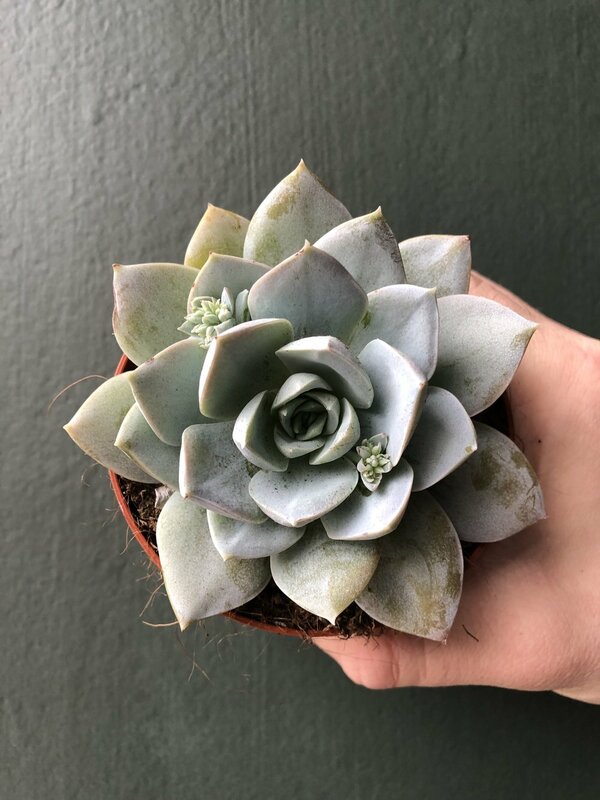 What is an Echeveria Succulent? Echeveria succulents will flower and seed many times over the course of their lifetime. The brightly coloured flowers will form on the end of long stalks which shoot out from the rosette, they last several weeks before fading. The stalk will eventually brown, and can be nipped off, or left. Echeveria propagate by cloning themselves, creating offsets. They are part of a group of plants often nicknamed “Hens and Chicks”, the main plant being the hen, and the surrounding babies the chicks. An Echeveria succulent having ‘babies’ and creating clones. We use Echeveria succulents to bring colour, and height variety to our succulent terrariums. They’re one of the most popular plants in our terrarium workshops, and look great nestled amongst pebbles, rocks, or sand. We cluster them for larger builds, equally they sit just as pretty on their own, in a smaller vessel. Succulents make great plants for open terrariums. If you want to have a go at building your own succulent terrarium, why not buy a terrarium workshop ticket with us. 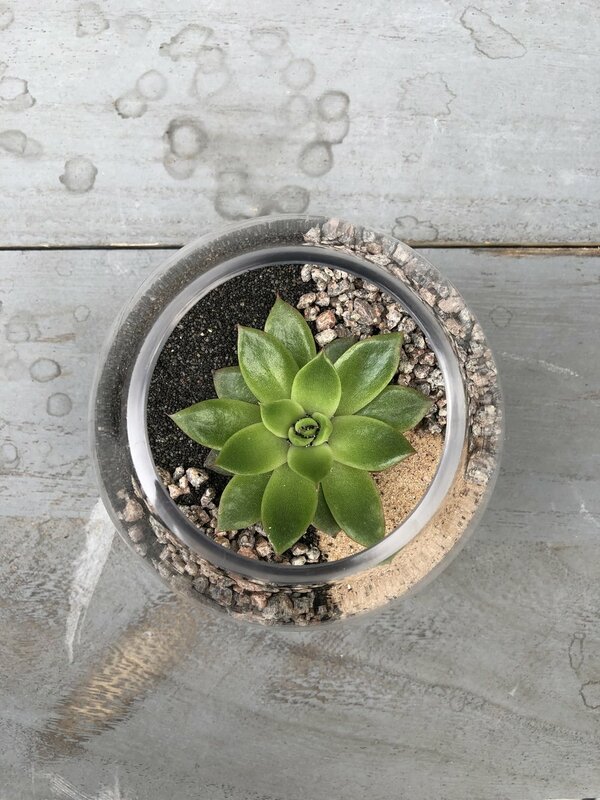 Want to buy an echeveria succulent terrarium? You can order a terrarium from us here at Heron Hawker.